Did you ever stop to think, this morning, as far as returning, that is, it had become visible? He is already here with us now. He…we someday…Now today, just imagine that His Presence being here today. 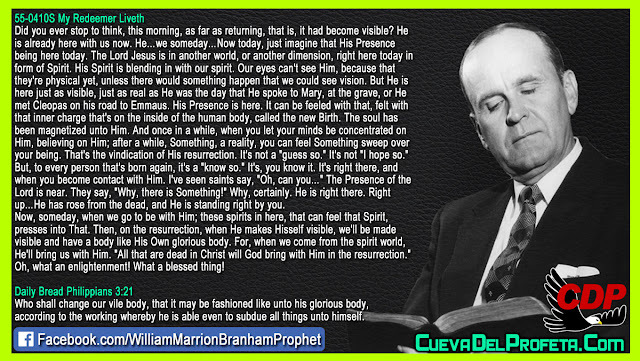 The Lord Jesus is in another world, or another dimension, right here today in form of Spirit. His Spirit is blending in with our spirit. Our eyes can't see Him, because that they're physical yet, unless there would something happen that we could see vision. But He is here just as visible, just as real as He was the day that He spoke to Mary, at the grave, or He met Cleopas on his road to Emmaus. His Presence is here. It can be feeled with that, felt with that inner charge that's on the inside of the human body, called the new Birth. The soul has been magnetized unto Him. And once in a while, when you let your minds be concentrated on Him, believing on Him; after a while, Something, a reality, you can feel Something sweep over your being. That's the vindication of His resurrection. It's not a "guess so." It's not "I hope so." But, to every person that's born again, it's a "know so." It's, you know it. It's right there, and when you become contact with Him. I've seen saints say, "Oh, can you…" The Presence of the Lord is near. They say, "Why, there is Something!" Why, certainly. He is right there. 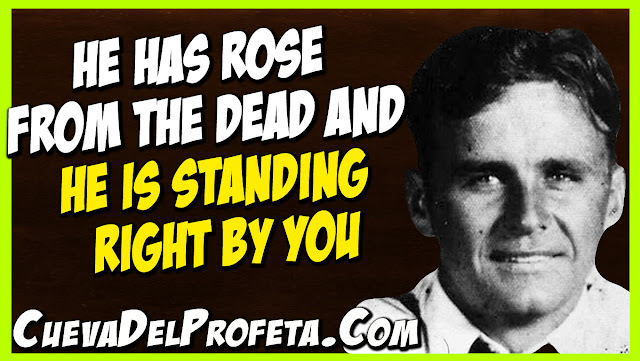 Right up…He has rose from the dead, and He is standing right by you. Now, someday, when we go to be with Him; these spirits in here, that can feel that Spirit, presses into That. Then, on the resurrection, when He makes Hisself visible, we'll be made visible and have a body like His Own glorious body. For, when we come from the spirit world, He'll bring us with Him. "All that are dead in Christ will God bring with Him in the resurrection." Oh, what an enlightenment! 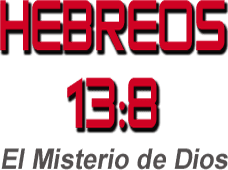 What a blessed thing!